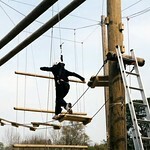 1½-2hr session of High Ropes Course. 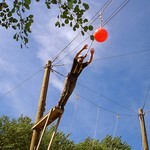 All high ropes sessions are run by well-trained and experienced instructors and includes safety equipment. 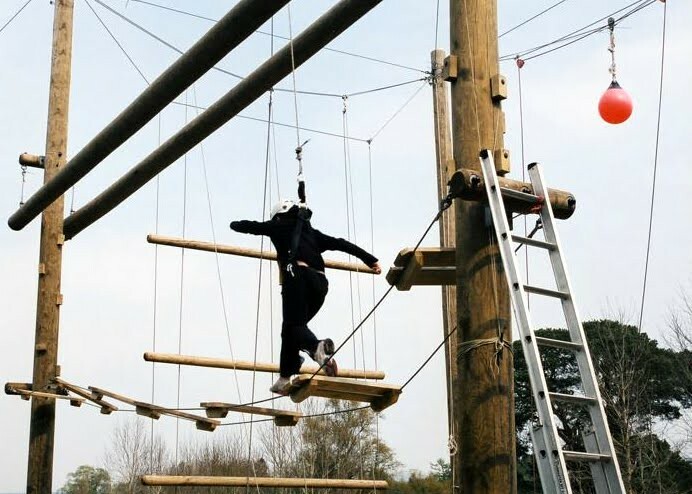 This High Ropes Course is a fantastic way to explore all aspects of teamwork, communication, confidence and trust amongst your weekend Stag or Hen party group. Balance and co-operation are essential features of these courses with problem-solving skills being tested as well. 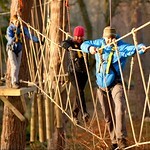 High ropes courses are the ultimate personal challenge. 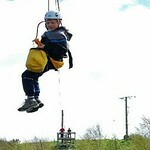 This high in the sky activity offers an excellent challenge for everyone. 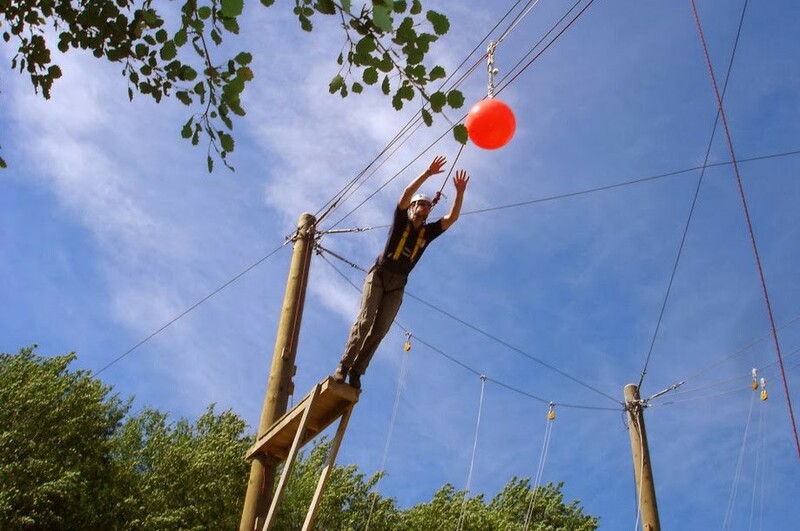 The real question is-- will you make it to the top of the Jacobs ladder, walk the balance beam with no hands and will you overcome your fear to take the leap of faith! 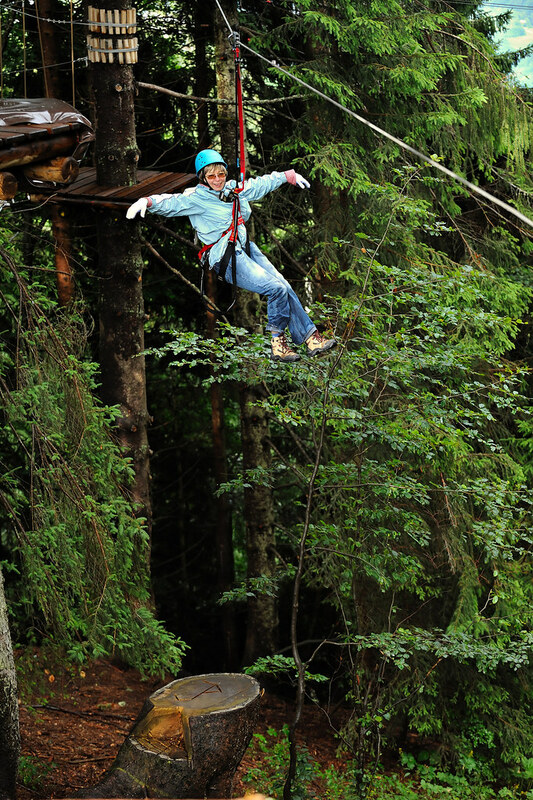 All high ropes sessions are run by well-trained and experienced instructors who will provide you with all the safety equipment necessary. The instructors will ensure that Stags or Hens enjoy a safe and highly exciting session, and will provide all the encouragement and support that you need at those wobbly knee moments. 1½ – 2 hour session on our on-site course.